There is nothing worse than coming home after a long day at work only to discover your toilet is no longer working. Plumbers and associated repairs can be expensive, especially if you have to request repairs outside of normal business hours. You cannot always rely on warranties alone to cover issues either. This is when do-it-yourself repairs become a necessity. There are many parts of a toilet that can stop working. You may have a worn gasket seal, a flapper that no longer allows proper water flow or a lid that doesn’t fit securely on your toilet tank. If you plan to do the repairs yourself, you must have the proper tools and parts to finish the job. Here are reviews of some replacement parts you may find useful. 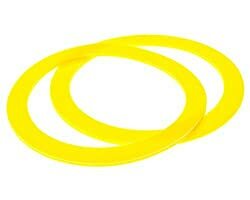 Toilet gasket seals wear out over time and eventually need to be replaced. Replacing the seal creates better flushing pressure and results in a quieter flushing toilet. 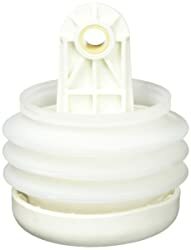 This product from Impresa Products is a perfect replacement for your Kohler K-GP1059291 red or yellow canister flush valve seal. This compatible part is made from high-quality, durable rubber and has an outer diameter of 3 ⅜-inches. If you follow the installation instructions, you can replace your Kohler gasket seal with this compatible seal within 3 minutes! You do not even need to remove the base of the toilet. This product comes in a pack of 2 and is a cost-effective replacement for your Kohler product. This is an aftermarket replacement for the 3-inch Toto flappers for G-Max model flush valves. The toilet flapper is not compatible with Toto’s Power Gravity toilet models, however. The flapper replacement product is made of high-quality red rubber which is resistant to chlorine, bacteria, and hard water minerals. 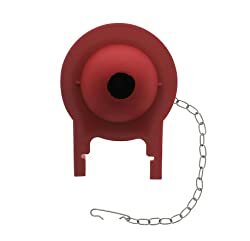 This toilet flapper is easy to install and includes the stainless steel chain with a clip hook for easy attachment inside your toilet tank. Essential Values stands behind this product with a money-back guarantee. 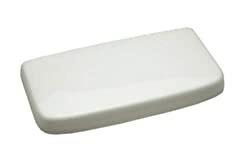 This is a set of 8 toilet seat bumpers from Blulu. The bumpers are a standard size which fits most toilet seats. Each bumper measures 1.97-inches in length and 0.79-inches in width. They are 0.67-inches thick and made of quality ABS plastic. They are durable and sturdy and provide a great buffer between your toilet lid and the toilet bowl. Each bumper has a strong self-adhesive strip that ensures it will stay in place firmly for a long time. These bumpers are intended to be used for the repair of a toilet seat when the existing bumpers deteriorate or break. These are easy to install on your toilet seat. Simply clean the seat thoroughly and dry it off. 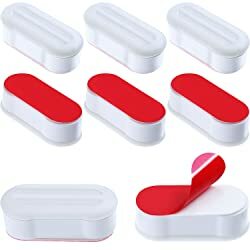 Peel the self-adhesive back off of the bumper and place it firmly on the toilet seat, pressing hard to ensure it sticks. Allow the bumpers to sit for 10 minutes after application to make sure they are secure. This is a pair of toilet bolt caps from Grand EZ Caps. Don’t cut the bolts off when replacing a toilet bowl! Instead, cover bolts that are too long with these caps. They will work with or without a shank and are designed to work universally on both ¼-inch and 5/16-inch bolts. These are great for property managers who deal with rental houses day after day. This cap is designed to work every time and does not require tools to install it. Simply push it down over the bolt and it stays on every time. This motion sensor night light is a perfect solution for your nighttime bathroom trips. I dislike turning on the lights when I get up to go to the bathroom at night. This toilet night light has a built in motion sensor that detects body heat and automatically illuminates the room whenever you enter it. Once you leave the room, the light will automatically shut off. 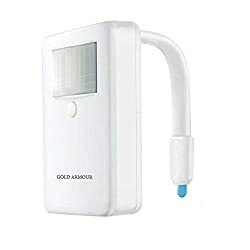 If you turn on the actual bathroom light, then the light detection sensor will deactivate the LED light to maximize battery life. The LED light has 16 different colors that can work through a rotation or it can display a single solid color. It has a wide 170-degree coverage radius to cover most of the area surrounding the toilet. There are 5 brightness control settings allowing you to set the proper illumination based on your own personal preferences. Gold Armour backs their product with a 100% refund within 90 days of purchase no questions asked. This is a risk-free fun option for lighting up your bathroom at night! This is a replacement part for the Champion 2004 and 2034 one piece toilet tanks. 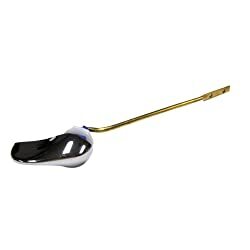 It is a polished chrome left-hand trip lever used to flush the toilet. It is mounted on the front of the toilet for easy flushing access. The arm lever is metal instead of the typical plastic that often comes with toilet flush assemblies. This makes the trip lever a much more durable option for your American Standard toilet. Do you have a toilet tank that is unstable or wobbles? Then consider the support tank brace set from Secure-A-Tank. This brace helps prevent tank wobble and damage from the toilet tank movement and acts as a toilet tank anchor. The brace will support a maximum gap of up to 4-inches. The installation process is quite simple. You measure the gap you need to fill, cut the brace to size and then snap it into place. 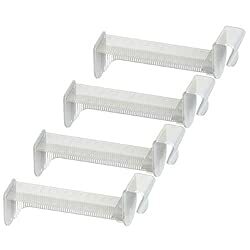 This product features a set of 4 braces allowing you to safeguard up to 4 toilet tanks. This is a replacement kit for the flush ball in a Vacuflush toilet that is often found in RVs or on boats. If the bellow ever cracks then raw sewage gases can escape into the air whenever the pump is actuated. This kit will replace the faulty bellow and allow your Vacuflush toilet to continue working effortlessly. If you have a Vacuflush toilet system, then this a replacement kit you should consider. This is a replacement tank lid for the ProFlo PF9312 toilet. It is a white lid with internal measurements of 6-inches by 12-inches. External measurements for this lid are 9-inches by 13-inches. If you have ever cracked the lid of your toilet tank, then you know how frustrating it is to find a perfect replacement part! Although this replacement lid is made specifically for the PF9312 toilet, it may also fit many other toilets. Confirm the measurements of your toilet tank and you may find that this replacement part will work just fine for your broken lid. This is a tool that is recommended for professional use only to remove a toilet flange safely. If you are in a situation that requires this type of tool, be careful to review all instructions before you attempt to remove the flange to avoid toilet damage. This tool safely cuts the flange directly off of the outside of a 3-inch pipe leaving it ready to glue a new flange on. You need to have a high-torque drill for this to work efficiently. Run the drill on low speed and take frequent breaks so you do not melt the pipe. This is especially important if the pipe is ABS plastic. As you can see from the toilet replacement part reviews above, there are many parts that make a toilet work properly. Any single failure of a toilet part can be disastrous for a homeowner. Unexpected repairs can be quite costly and you may find yourself in a situation where do-it-yourself repairs are necessary. Once you make the decision to repair your toilet on your own, the first thing you have to do is determine what part of the toilet is broken. Once you have narrowed down the problem, you can then begin your search for a replacement part. This can be quite overwhelming since there are so many shopping options available. Here are some resources you can consider to help narrow your search. 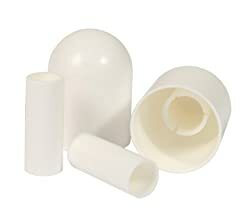 After you have determined the problem with your toilet, you can use the internet to research replacement part options. There are many plumbing websites that provide how-to videos and suggestions on specific parts for any toilet repair situation. These websites often have suggestions for where you can buy the replacement parts required for the job. You can also search online for local plumbing supply stores near you. Many stores have online product catalogs you can review or you can call the store directly and inquire about the specific replacement parts you need. If you have another toilet in your house you can use, you may be able to wait a few days before you get the replacement parts. If this is the case, then consider buying the parts from an online retailer. There are many plumbing supply stores online as well as other popular retailers. You might even want to consider an online auction site if the part you need is somewhat pricey. This might save you some additional money in the long run. Another option to consider is your local hardware store. If you are located in or near a large city, then the common nationwide chain hardware stores are a good first option. If you live in a smaller community, consider looking for a local mom and pop hardware store. They will appreciate your business and you will be helping the growth of your local community at the same time! If you are interested in taking the do-it-yourself route for your toilet repairs, then you have many options available for locating the proper replacement parts. As you are doing your research and narrowing your choices of replacement parts, be sure to consider the quality of the product, the brand name behind the product and warranty information. You will be a do-it-yourself toilet repair expert in no time at all!